"Two ‘TOMA’ (In Turkish: Toplumsal Olaylara Müdahale Aracı, in English: Intervention Vehicle to Social Events) and a woman!" 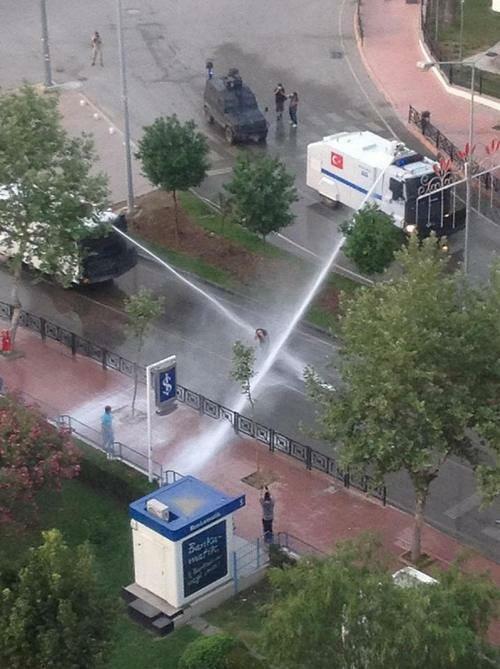 This tweet summarized the disproportionate police actions during protests in Turkey (particularly in Istanbul and Ankara). A disproportion that shows how the establishment fears new forms of protest. It happened also in Tahrir, Zuccotti Park, 15M protests in Spain, Mexico or Brazil. "Dude, don't be scared. It's us. The people": a sentence painted on a Turkish street. In the new revolutions, violence is opposed with humor and peaceful resistance. 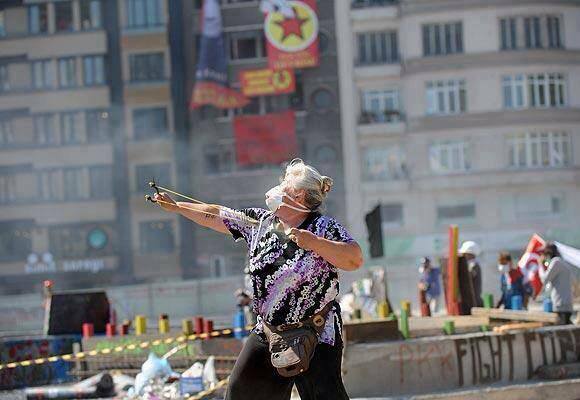 The police action against unarmed people creates symbols such as "The Woman in Red" from Gezi Park, and powerful images of citizenship, empowered, resisting, like this woman in Barcelona or this other woman from Taksim. 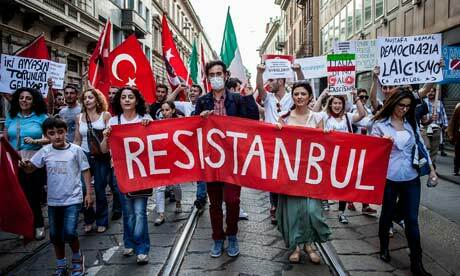 Gezi resistance gave rise to a new term to refer to the Turkish capital, "ResIstambul".